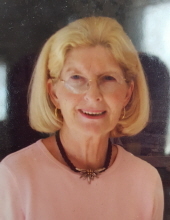 Theresa “Terry” Nora (nee Kelly) Davis passed away peacefully on January 29, 2019. Born in Dublin, Ireland on November 7, 1935, she was the sixth child of fourteen born to Catherine & Joseph Kelly. She spoke often & fondly of her siblings and of her childhood on Richmond Avenue. Terry moved to London in her early twenties to work for the Singer Sewing Machine Company and while living there she met her husband Frank, a young U.S. Army officer. They were married in Dublin on December 26, 1957. Terry & Frank went on to have seven of their own children; Paul, Kelly, Tracey, Michael, Chris, Betsey & Mary. During the course of Frank’s almost 30 years of military service, including lengthy wartime separations, Terry was there holding it all together…an often underrated task. She was a tireless wife & mother who was dedicated to her family. Terry & Frank travelled the world together and delighted in sharing their adventures. After 58+ years of marriage, Frank passed away in June of 2016. Dementia kept the full impact of the loss of her much beloved husband & constant companion from her and would also be her final fight. To send flowers or a remembrance gift to the family of Theresa Nora Kelly Davis, please visit our Tribute Store. "Email Address" would like to share the life celebration of Theresa Nora Kelly Davis. Click on the "link" to go to share a favorite memory or leave a condolence message for the family.